« Bristow Center’s FREE Trick-or-Treating Event! 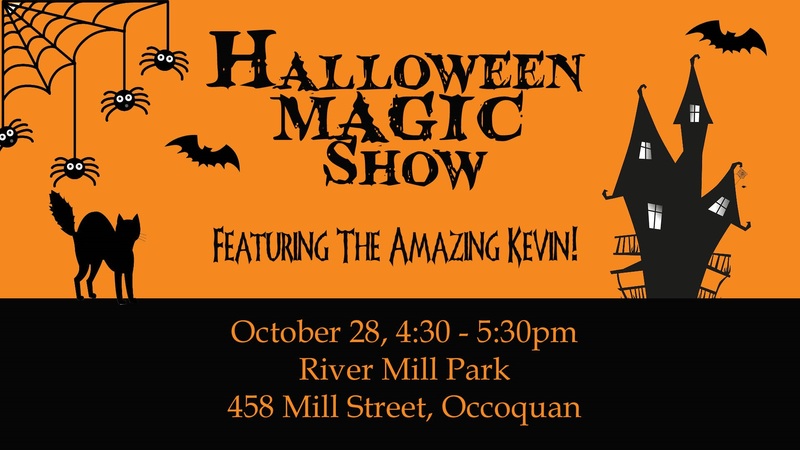 4:30 – 5:30 p. m.
After shopping in town, be sure to join us down at River Mill Park for The Amazing Kevin for some spooky Halloween Magic. Eat Shop Popcorn will be here with some yummies for purchase. Come dressed in costume to make the event even more fun! All ages welcome! 10:00 a. m. – 4:00 p. m.
Join the shops of Occoquan in finding and validating six Halloween Characters and be entered in a drawing to win a life-size Halloween Figure. Pick up your entry form at participating shops which will be flying orange and black balloons.